CBI have finally revealed the whole story behind Jiah Khan's suicide case. On 3 June 2013, she was found dead in her flat in the Sagar Sangeet building in Juhu, Mumbai after apparently hanging herself. CBI said that Sooraj Pancholi hid the facts and fabricated information. 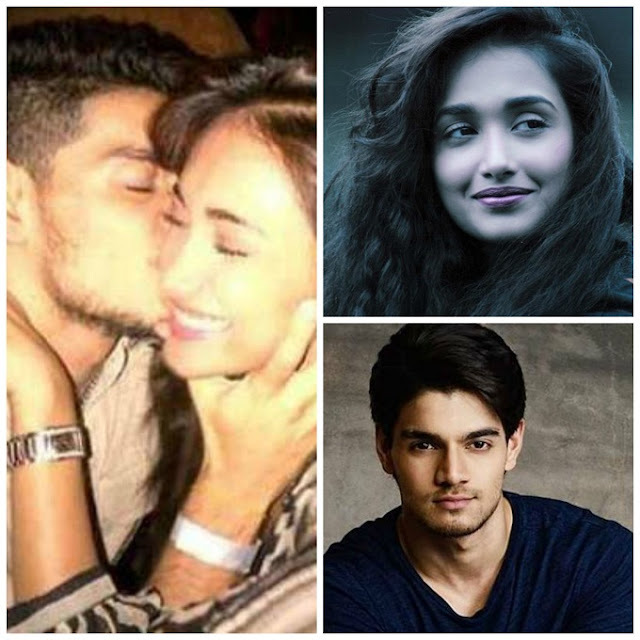 Sooraj Pancholi is one of the prime accused, chargesheet has all the details on how Jiah's boyfriend Sooraj Pancholi aided her in the subsequent abortion; and how the termination of pregnancy left her an emotional wreck, which possibly led to her suicide. A statement of a psychiatrist has helped the Central Bureau of Investigation (CBI) build its case against Bollywood actor Suraj Pancholi. A source gave the chargesheet details of the charge sheet and said that Jiah was four weeks pregnant when she informed Pancholi about it.The couple then approached a physician who prescribed some medicines for medical termination of pregnancy (MTP) but that didn't help.The couple then approached another doctor and finally a gynaecologist who prescribed a stronger and more effective combination of drugs. "After taking the medicine, Khan started haemorrhaging and called Pancholi for help.She was in pain and needed immediate medical attention but Pancholi allegedly asked her to wait and called up the gynaecologist for guidance. He was asked to rush Khan to hospital as the foetus had probably aborted but had not been expelled from the body, which is probably what led to the hemorrhaging," says the charge sheet. Charge sheet also added that Sooraj Pancholi was afraid if Jiah gets hospitalized than it might ruin his acting career. So, Sooraj decided to take all the matter in his hands rather than risk of going to the hospital. He extricated the foetus and disposed of it in the toilet, the charge sheet alleges. All this matter left deep emotional scar on Khan as she wanted a true commitment from Sooraj but he started avoiding her on the sake of his career. This added to her depression which finally drove her to suicide. The earlier charge sheet filed by Juhu Police didn't mentioned about this incident, but CBI came to know this after taking statement of doctors, who are among the 11 new witnesses examined. Officially, the CBI was tight-lipped about the contents of the charge sheet and only said that a case under Section 306 of the IPC was made out against a "private person". Section 306 of the IPC deals with abetment to suicide and carries a maximum imprisonment of 10 years and also a fine. The charge sheet adds: "The wilful conduct of the accused narrated in the note written by the deceased, her intimate relationship, the physical abuse, the mental and physical torture which she experienced, allegedly led the deceased to commit suicide." The CBI charge sheet adds that "the accused are presumed to be innocent till their guilt is finally established after a fair trial." The CBI had conducted a search on Pancholi's house in Mumbai and found several documents, including letters, pen drives and memory cards. "Everything was sent to the Delhi headquarters of the CBI for analysis which provided the team with very crucial leads," a CBI officer said on the condition of anonymity. When contacted Aditya Pancholi, father of Suraj, said that they will contest the chargesheet. “My son is not guilty of abetment,” said Pancholi.